I am sure most of us want to find out how high the water in our growbeds, especially those using Flood and Drain (Flood and Flush) setup. 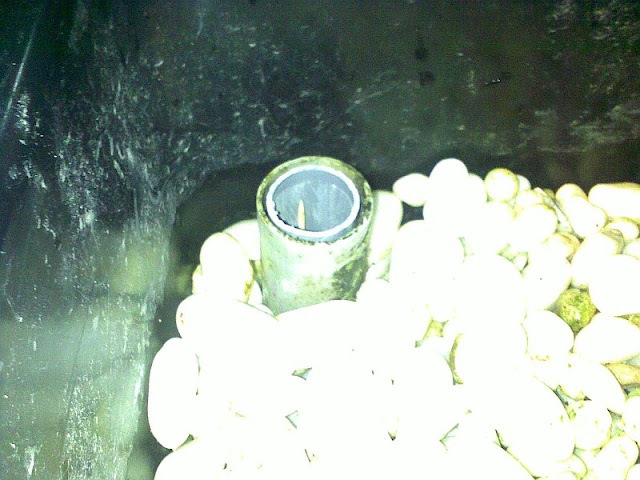 I am having problem with one of my growbed, so need to monitor closely its water level to make sure it cut-off promptly. 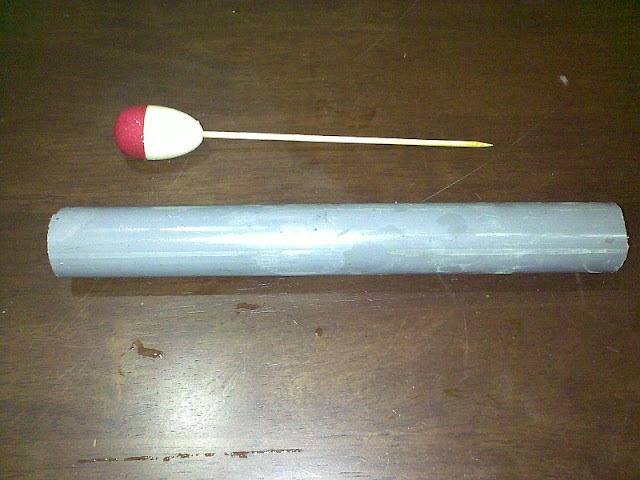 Below is a simple level indicator made up from Fishing float and a PVC tube. Above is a diagram of the indicator, its self explainatory actually. Just get a fishing float and stick in a piece of rod or straw or something. I use that mini kebab skewer made out of bamboo. Its just a bit short. Need to find something longer. Picture of same above, and below at high water level. I buried a bigger outer tube, so that I can use the smaller inner tube on other beds. 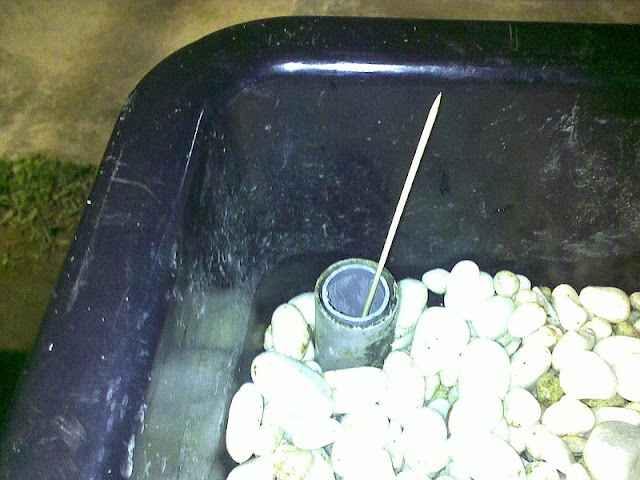 I use it to check water level since I experimenting this setup, that permanent outer tube is required. You can use only one tube in each bed and just use the same float at all places as needed. Picture above at lower water level, I do need something longer. You can use more then 1 float at the end of the stick and an end cap with hole drill to make it neat. Also the stick marked in inches or mm to have a reading. Not much of a device but it does get the job done. Great to know. Liquid Level Gauge are also helpful. Thanks for sharing. Keep exploring.